From time to time, your PayGo software may need technical support. 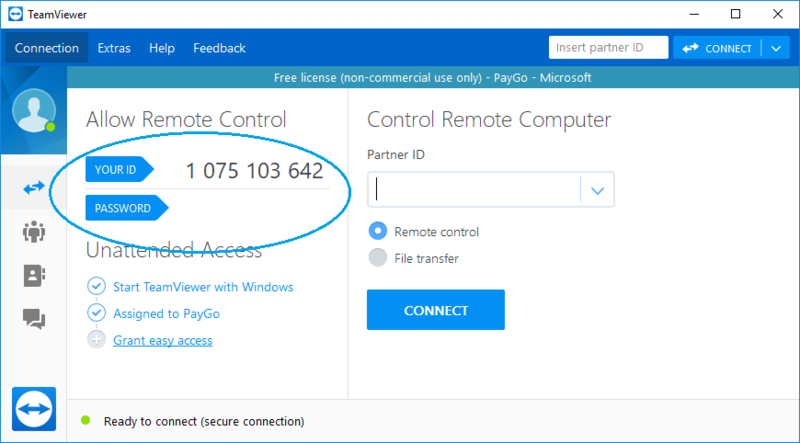 PayGo now uses TeamViewer™, the world’s top secure remote connectivity tool, for all of your remote technical support needs. TeamViewer is widely considered to be one of the simplest and most secure ways to remotely connect multiple workstations for remote viewing and IT support. In addition, TeamViewer is free for personal use, making it the perfect solution for your technical support needs. 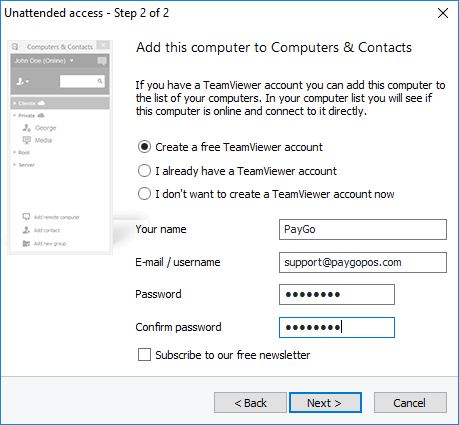 TeamViewer allows PayGo IT to remotely access your computer whenever you need assistance, even if you’re not there. 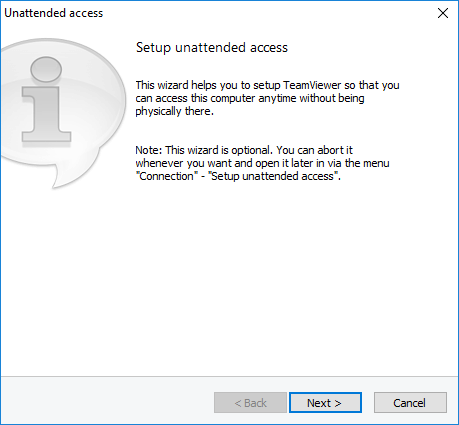 With unattended access, TeamViewer starts when your computer does, which means that if a problem arises PayGo IT can fix it even if you’re not there. This will take you to the TeamViewer download page. 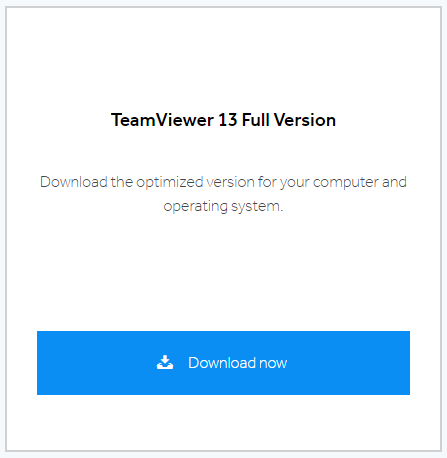 Download TeamViewer 13 for Windows by clicking the Download Now button for either the TeamViewer 13 Full Version, which will automatically detect your operating system, or by directly selecting the Windows version. For all older OS versions, click here. Click the TeamViewer download at the bottom of the page, and then click Open. Click Open to run the TeamViewer 13 setup. Before you proceed, be sure to select Installation to access this computer remotely (unattended), and set your TeamViewer to Personal/Non-commercial use. Click Accept/Finish to complete the setup and open TeamViewer on your computer. Next, you’ll set up your unattended access passwords. The setup wizard will ask you to create a personal computer name and password. This will help PayGo to identify which computer you need assistance with. You will now be asked to set up an account through TeamViewer. 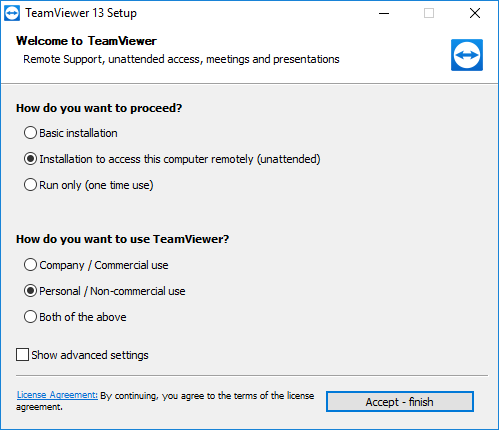 Upon completion, TeamViewer will send you a verification email. Follow the instructions to activate your account. 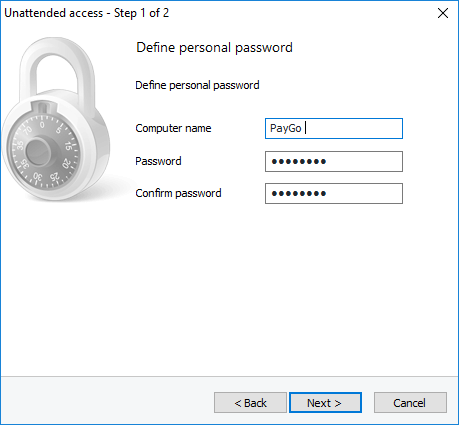 Your ID and Password are what PayGo will use to access your computer, so you will have to add it to your Help System account. Log in to your help ticket system (click here to go directly to the Help System login page) and follow the prompts to add the ID and password to your account. Note: If you are submitting a ticket but have not yet set up your TeamViewer IDs and passwords, you will be prompted to do so before the ticket can be submitted. 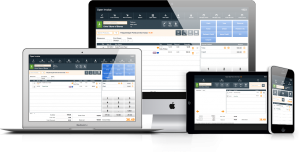 Want to know more about why PayGo has chosen TeamViewer as its remote access tool? Click here.